Daniella of LellaVictoria and Wendy of Thankfifi who were the target of many street style photographers during LFW. I decided I would be a street style photographer for the day. Unlike the "official" Vogue and Elle photographers, I allowed the two lovely ladies to smile instead of striking a pose or "look fierce". The fashion industry is a completely foreign landscape to someone like me who came from a male dominated engineering background. A bit like chalk and cheese really, considering that the term "well dressed" to most of my former colleagues meant turning up with a shirt all tucked in or pants zipped up properly. And no, I'm not exaggerating either. It's difficult to put on a normal face when you're trying to hold a conversation and someone's fly isn't done. Which happens more often than not. This has been my first foray into the London Fashion Week scene. It was a bit unfortunate that it coincided with the half term break which meant I couldn't attend more than half the events I was invited to. Bummer. The London Fashion Week is perhaps the most pretentious, superficial and beauty obsessed world I've ever experienced to date. In contrast to my previous statement, I was equally blessed to meet with some of the most engaging and down to earth individuals who made it a memorable experience for me. Ladies, you know who you are so thank you for the wonderful time (Matches Fashion, Grazia, Reward Style, LN-CC, LellaVictoria, MirrorMe, Thankfifi). Lucas Nascimento's show was intimate but still managed to make an impact with his designs. Bold, wearable pieces with clean fluid lines that will flatter women who do not necessarily have the perfect size 0 figure. The Central St Martins graduate obviously understands women and our insecurities well enough to create classic pieces but with a contemporary twist. 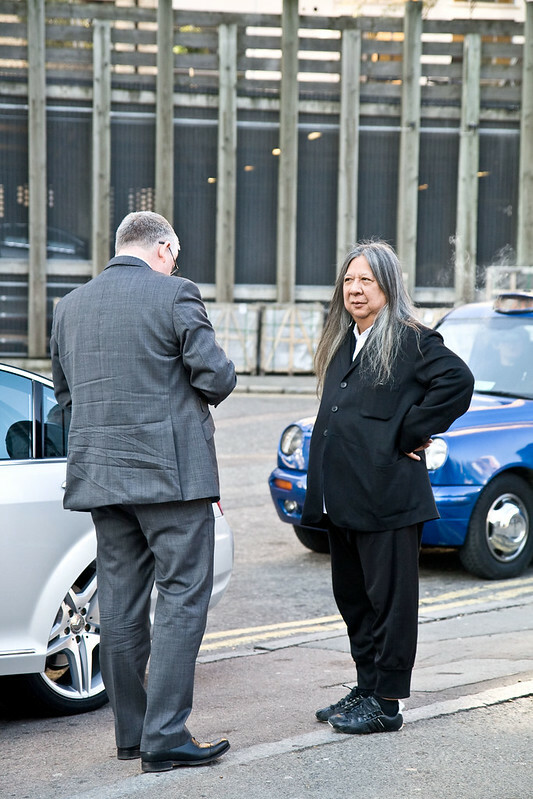 John Rocha with his chauffeur. I think I scared his wife when I couldn't stop ogling her Hermes Kelly. Listening to Jonathan Saunders talk about his work. The room was packed at House of Grazia with bloggers and journalists alike, all waiting with bated breath for Jonathan Saunders to arrive. A grounded, talented, witty and clearly exhausted man who deemed himself as the first generation of "normal" clothes designer. 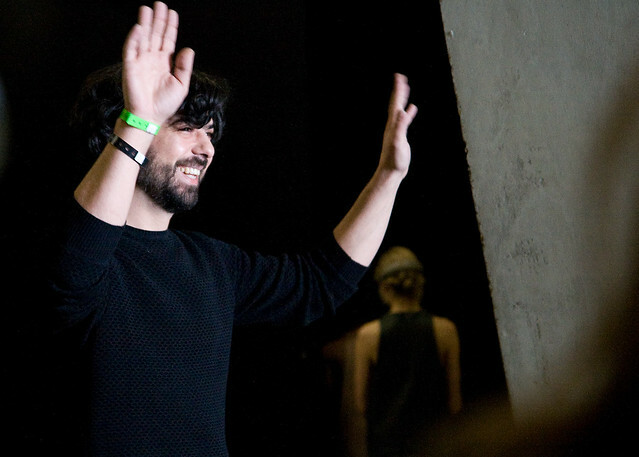 Jonathan was a Central St Martins graduate who'd attended tutorials with Roksandra Ilincic and counted Richard Nicoll, Christopher Kane and Louise Gray amongst his peers. Here are snippets of the interview. Background: "came from Jehovah Witness background and went into furniture making because Jesus did so". Left because there wasn't any human interaction. On social media: Previously, it used to be fashion insiders who dictated what went into press and the enormous influence they wielded but the social media along with blogging has "democratized" the whole process. 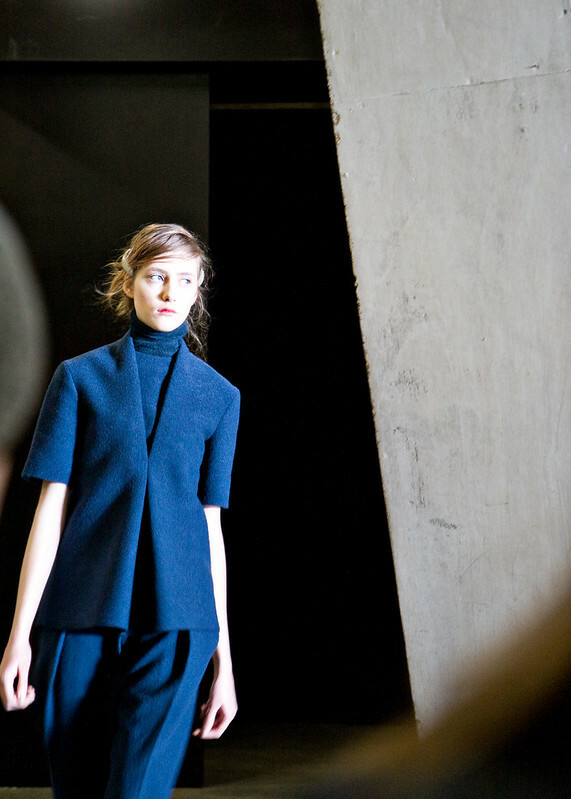 Consumers are now closer to the designers more than ever. On recession: It made him think and design more commercial and wearable clothes. What an amazing experience! Thanks for sharing it with us. Yep, fashion is a young girl's game! thank you for sharing. OMG. How lovely. And I love Wendy from Thankfifi. She's definitely my daily blog read. I must admit it is great fun and I get just as much of a kick out of people watching as I do attending shows, I adore street style especially bag spotting! Amazing pictures - so wish I could've been there with you! I like the smiley people photos! It looks like a really interesting experience. I'd like to be that person sitting on a step with a sandwich and a coffee just people watching. Stunning pictures and it looks like such fun. Love your street style photos. Congrats on your first LFW! :) What a great experience and I hope that'll be many more to come for you. Lovely pics as usual, M! oh that sounds super fun.. ;) nice escape from reality as you put it! 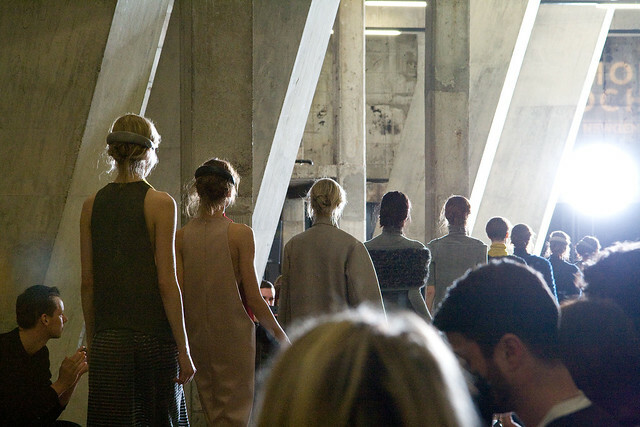 i should make an effort to go to sydney and melb fashion weeks this year.. I love reading your posts because you always have a unique perspective on things and a great sense of humor. I totally relate with what you have been describing about LFW since I have just experienced the madness and excitement of the Montreal Fashion Week. Of course, it's on a different scale than New York and London, but the attitude is pretty much the same everywhere! I like the pictures you took from the catwalks and from the street. I think you can get a real kick out of these events if you enjoy watching people in the first place. VERY interesting people you had a chance to meet! I know you took away from it a lot. Glad you went and got to see it hands on. Very fun that you got to be a "fashionista" this year! And I met Elisa briefly when she was in Dallas - so sweet! Even if you couldn't attend all of the events, it's still fab that you went to such private ones like with ahem, Jonathan Saunders! So cool M! Brilliant photo's and it's so refreshing to her normal commentary on fashion week and the events that you got to go to. I really appreciated seeing people smiling in photographs and hearing how relatable and normal some of your meet and great were. I'm really glad you got to go especially since you got to meet J Saunders! Absolutely fantastic Marlene! With your stunning wardrobe and commentary, you definite belong on the scene. Now who do I have to talk to so I can get an invite with you next year?